If your Retina MacBook Pro isn't delivering the battery life you expected, try this simple fix. Is your Retina MacBook Pro seeing less than half the seven hours of battery life that Apple promised you? Well, this may not be because you keep watching high-resolution videos over and over again on its Retina display (though that is certainly not helping). Instead, it could be thanks to a corrupt file created by Migration Assistant that needs removing with a simple terminal command. 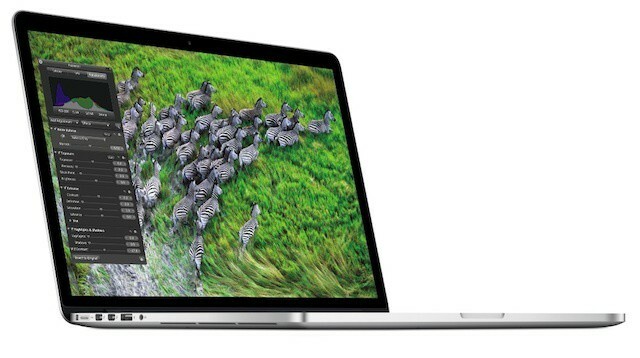 Here’s how to do it and boost your Retina MacBook Pro’s battery life. According to a user on Apple’s Support Communities forum, your MacBook Pro’s battery life could be dramatically reduced by a corrupt file created by Migration Assistant. The only way to improve it is to remove that file. I FINALLY FIGURED OUT THE ISSUE! Its a simple terminal command. There is a corrupt file that Migration Assistant created and this will fix the issue. I am now getting 8+ hours of battery on my MBP Retina. Open up Terminal on your Mac and type ” cd ~/Library/Preferences/” (without the quote marks) and hit return. Now enter “rm com.apple.desktop.plist” and hit enter again. You desktop will now refresh — possibly changing your wallpaper Mac to Lion’s default backdrop — and the corrupt file will be removed. If this is indeed the cause of your battery woes, you should not find that your battery life now increases significantly. I can’t verify this myself, unfortunately, because my Retina MacBook Pro is yet to leave the Foxconn factory. So if this fix works for you, be sure to let us know in the comments.